Transitioning is terrifying. Full stop. To elaborate: I started taking hormones nearly two years ago. I knew I was miserable as I was before and needed an option that wasn’t death. I had no idea that transitioning was in and of itself a sort of death. I lost friends, I lost family, I lost my life. And for the most part, it wasn’t because people rejected me. It was because the me I started to become no longer fit the life I had. I started to outgrow the box I had squeezed myself into until it shattered, throwing shards all over the place. When I started to transition, it was as a person who had tried to be both male and gay. And that person thought they were going to be female and “straight” — or perhaps queer. Now, I have lost that structure, though not because it has screwed me up in the process. But because that structure no longer has the utmost importance I thought it had. 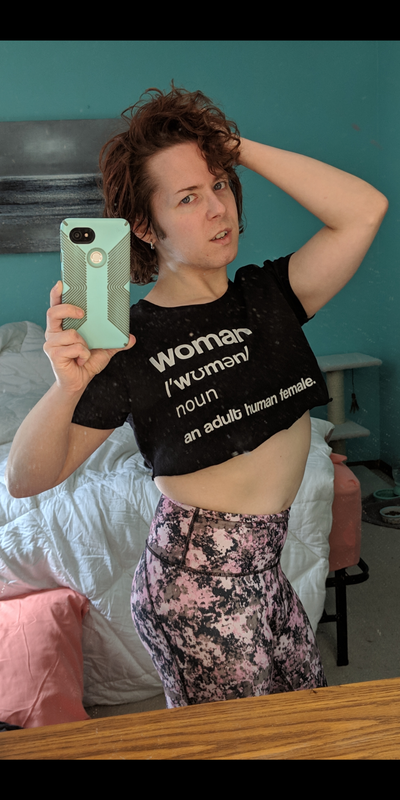 Am I male or female? Am I gay, straight, or queer? And the answer is: I don’t care. I’m me. I’m rearranging, upending, exploding. And in the mess, I’m finding my real self. And I’m finding the bits of myself that have always been me, things I missed before or hated because it was part of this person I hated being. So I’m not gonna tell you that you could pass if you try or that you can fight to be who you are and it will be amazing. Because maybe it won’t be. But maybe it will be. There is no way to know unless you try. You might take hormones for years and suddenly stop. You might change your name and then change it again. You might never stop transitioning, you might reach your final result pretty quick. But regardless, you will be saying “it’s time to take control of who I am. It’s time to find the real me that is dying to live so that this version of me doesn’t kill both of us.” The triumph doesn’t come in going from bad to good, from dark to light. It comes in completing who you are by any means necessary. The place to embrace the Triumphs and Tribulations of those who Transitioned and risked everything to live authentically.